Looking for a chicken recipe for dinner that even the kids will love? This recipe combines Ritz crackers, panko bread crumbs and Vermont Maple Syrup. April’s Maple in Canaan. 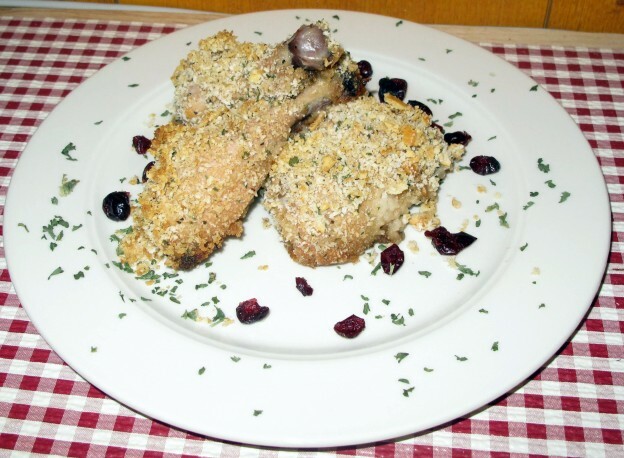 VT was happy to share this Crunchy Maple Chicken recipe with us . Prepare topping by mixing panko bread crumbs, Ritz crackers, pepper, parsley and salt in a large mixing bowl. Dip chicken in maple syrup and roll in topping until well coated. Place chicken in a greased baking pan. Bake at 375° for 40 minutes or until done. You could even serve it with maple syrup on the side to drizzle over while it is still hot! For information on the following events and more visit Vermont.com Calendar of Events Page. 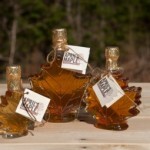 Thanks to April and April’s Maple for sharing another great maple syrup recipe! This entry was posted in Food, Now Trending on March 22, 2016 by Linda Cassella. Soups On!! Warm Up with These Unique and Delicious Vermont Soups Katie’s Cream of Celeriac Soup Eggs in a Maple Basket! !